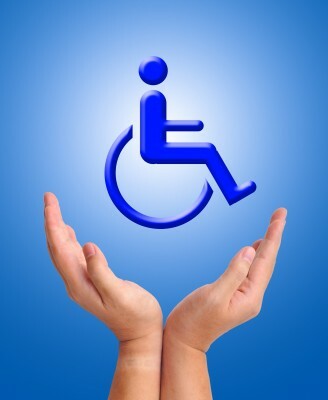 In 2000, during the National Economic Development and Labour Council job summit, the South African government set a target that by 2005, people with disabilities would make up 2% of the workforce. 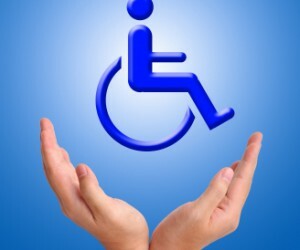 But in 2012, the number of employed persons with disabilities remains less than 1%. Ahead of Disability Month and the 2012 INSETA Disability Awards, INSETA and Old Mutual are working to ensure the overcoming of challenges that prevent people with disabilities from entering the workplace, while offering further education opportunities. Responding to the lack of career choices and to assist with retention of people with disabilities, Old Mutual will send 24 of its employees with disabilities on the INSETA FETI/HETI articulation project. This programme allows further education and training institutions to offer the equivalent of a first-year university course, as the University of the Western Cape (UWC) provides access to an Advanced Diploma in Management Studies for those with the NQF Level 5 Certificate. Once students have completed the Advanced Diploma in Management Studies, they can progress to a Postgraduate Certificate in Financial Planning at UWC – building a bridge to a higher qualification. “FETI/HETI creates a clear pathway to a career that is urgently needed in South Africa and respected in the industry, while addressing the scarce and critical skills issue. It is a great opportunity for both Old Mutual and our employees,” says Melisha Pillay, employment equity and skills development manager at Old Mutual. She says that when Old Mutual offered the sponsorship of the programme to its employees, it was met with an overwhelming response, resulting in INSETA needing to make extra space on the programme to accommodate the numbers. FETI/HETI ran successfully in its inaugural year, 2011. “Companies directly benefit from this initiative, as there is no charge for this training, and it is in keeping with INSETA’s goal to form partnerships which will grow scarce and critical skills in the insurance and broader financial industry. Importantly, it has the potential to revolutionise the financial planning sector by broadening access and accelerating skills development – something that is much needed. This will benefit not just the sector and those working in it, but the millions of South Africans who use their services every day. It is setting up job and wealth creation, and allowing for further education – for not just disabled persons, but any who face the challenges of unequal opportunity in South Africa,” says Dunn. Through participating in projects such as FET/HETI, companies such as Old Mutual and INSETA are changing the perceptions and helping to break barriers for people with disabilities.“We have a number of talented people with different abilities employed at Old Mutual. An important goal for us is to increase the representation of people with disabilities at higher levels in the organisation. The FET/HETI project will assist us to develop this talent and therefore provide potential opportunities for employment in more senior roles in the future,” says Pillay.